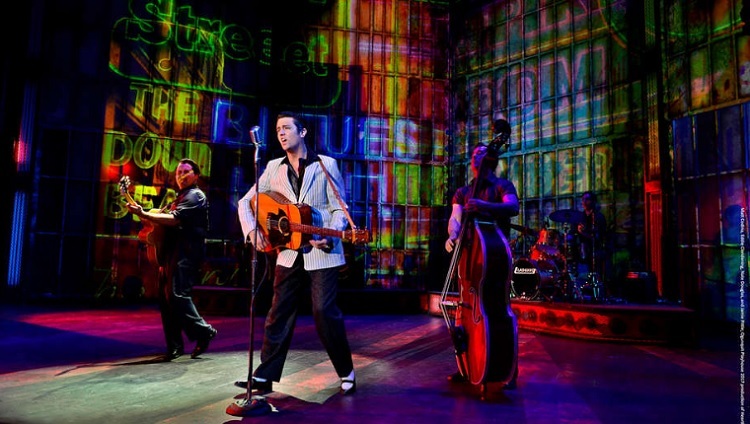 Heartbreak Hotel follows the tender story of Elvis Presley in the early years of his burgeoning career as he and Sam Phillips create the music that will forever change their lives. As Elvis’s career skyrockets, both lifting and shattering the lives of those he loves, a secret love story is revealed, a betrayal is discovered and “Colonel” Tom Parker changes the course of history, all in just 18 short months. This brand new musical features hit songs from the King himself as well as the legends who influenced his iconic music, with chart-toppers including “Blue Suede Shoes,” “Tutti Frutti,” “That’s All Right Momma,” “Shake, Rattle, and Roll,” and, of course, “Heartbreak Hotel.” This is where the story begins … “take a walk down lonely street” — at Broadway Playhouse at Water Tower Place in Chicago.